Rescue, Release, Restore provides powerful, innovative, and life-changing camp programs and we need your help making them accessible to all who wish to attend. What started over 25 years ago as a camp program for African American boys ages 8-17 called SIMBA (Safe In My Brother’s Arms), has expanded to also include a camp program for African American girls ages 8-17 called SIMSA (Safe In My Sister’s Arms), and a culturally inclusive leadership development program for youth ages 13-16 called MYLA (Multicultural Youth Leadership Academy). Your generosity will help Rescue, Release, Restore provide scholarships, transportation assistance, and programming supplies that directly support each of these unique camp experiences. 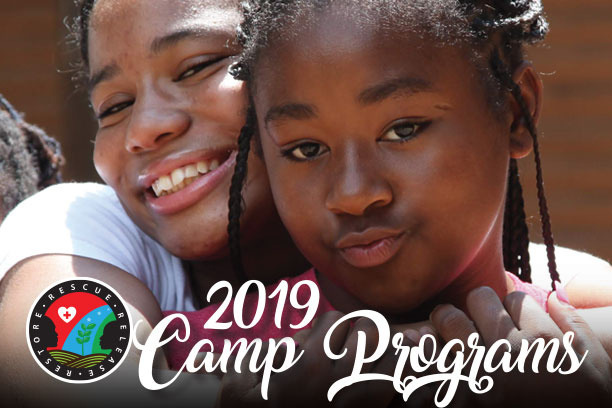 A gift in support of SendAKid2Camp2019 also sends a message to the children in attendance this summer that they are supported, loved, and encouraged as they step outside their comfort zones, discover their own gifts, and flourish together in community. Will you consider making a gift of $50, $100, $250, $500, $1,000 or any amount in support of our SendAKid2Camp2019 campaign? It makes all the difference in the world to so many.